Most of us reading this are never going to be elite level athletes competing in world championships, but for those of you reading this in a break between staring at your office spreadsheet, there is hope in the form of the Microsoft Office Specialist World Championship. This annual competition gathers the best of the best on the programs from around the world to compete over who can make the best spreadsheet. The final took place in Anaheim, California over the weekend and featured the 150 participants from 49 countries, from an initial pool of 560,000 from 122 countries. Candidates were required to show their skills in Microsoft Word, Excel or PowerPoint over 50 minutes and recreate spreadsheets that they are handed. There are six different categories that use all the Office programs. 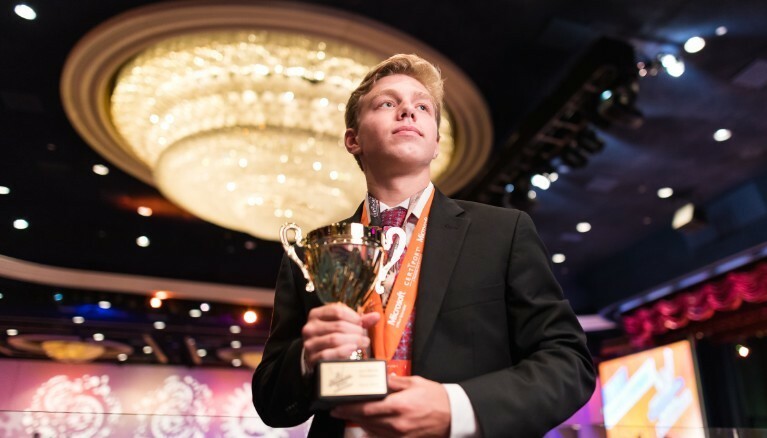 The title this year went to an American for the first time – 17-year-old John Dumoulin from Woodbridge, Virginia. He only entered the competition by accident after he took some tests to get certified in several Microsoft programs. 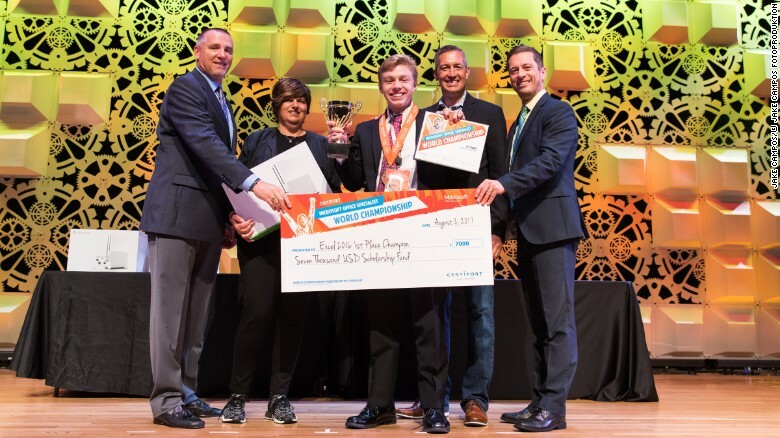 He charted the highest scores in Virginia and this led him to the National Championships in Orlando where he ranked first and won $3000. I wasn’t initially totally expecting to win, just because I know the competition is pretty fierce. It’s the best in the world from every country. When I told them what it was and what skills you need to know to do it, they thought it was a pretty big deal. They started asking me how to use Excel. It was pretty cool to meet international teams, but sometimes people get a bit heated. They’d give me this really intimidating look, because you can tell it gets intense. This is what these kids do. They give you a big trophy and medal at the end and I got an Xbox as well, so it was all worth it. I’m hoping to graduate next year – it would be great to work for Microsoft one day. Humble. Sounds like a useful skill to have, although it’s probably not gonna win you too many friends back home at high school. In later life though this guy is gonna be worth bucks, I guarantee it. For more Microsoft, check out when their AI chatbot went on a racist rant. Lol.